Discussion in 'iPhone and iPad Games' started by toptrops, Dec 30, 2014. 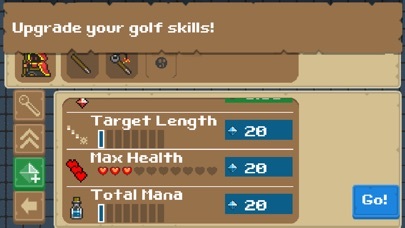 This is an RPG mixed with the rules of golf! 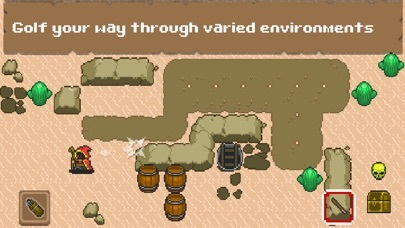 You play a wizard who has to cast as few spells as possible to get to the exit of each dungeon. 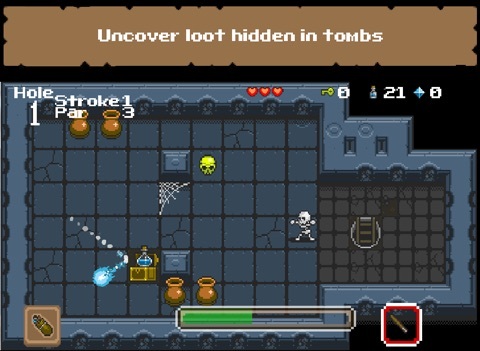 Along the way you must fight monsters, collect loot and upgrade your skills. 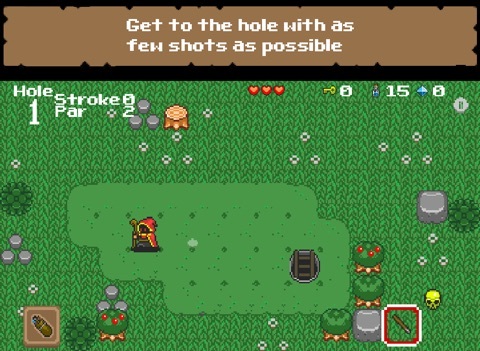 - Go for par or try to find the hidden golden skulls. Now this looks like a clever idea! Can't find it in the UK store? Hi Folks. Chris here (one of the developers of the game.) Yes we are soft launching in Canada, NZ and Australia. Let us know of your impressions before we launch world wide. Been looking forward to this for a long time. Any idea when the U.S. release will happen? Ive been looking forward to this and so far like it. 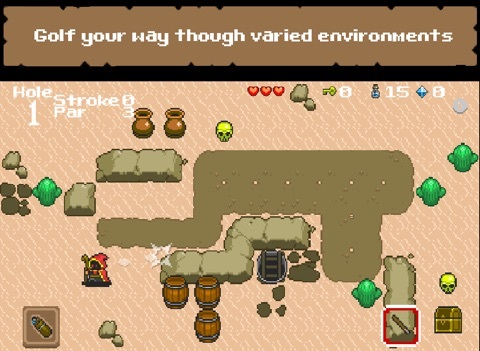 However, I can't seem to find a save game feature. Is this coming? I like the concept a lot. 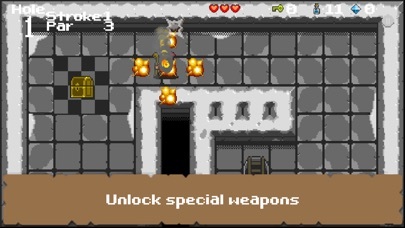 Would the developers consider offering some sort of purchase option for disabling ads? I just experienced a full page Google Ad for 'World of Tanks' which couldn't be closed (iPad 4, Canada). I am really sorry about not being able to close that ad. That is bug and we are troubleshooting it now. Regarding the "purchase option." 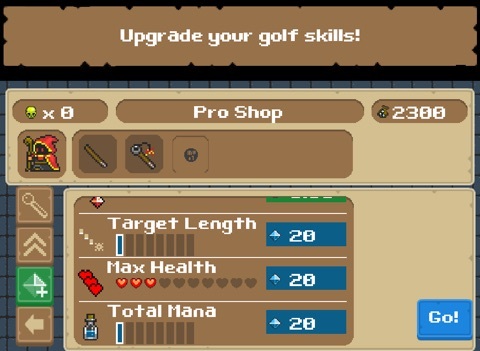 Any purchase you make in the store will forever disable ads. I recommend either buying an inventory slot (just click the +1 button) or the coin doubler. 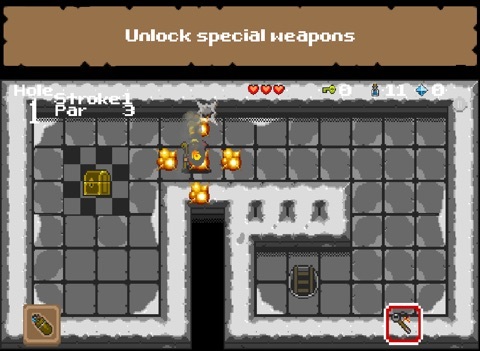 The game autosaves every time to pick up a golden skull or beat a coures (9 holes.) Did something not save that you thought should? Also PBSNellie you from AZ? We are too! 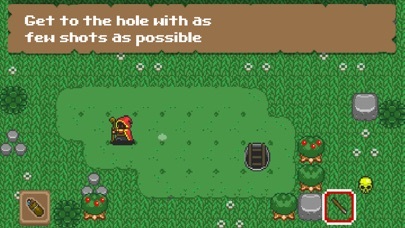 They probably want to be able to stop in the middle of a game and come back later in the same spot on the same hole, because this is a mobile game. Like a suspend-save/quick-save. So I've played a few rounds, but the game didn't seem to be saving the gems I've picked up along the way. Is anyone else noticing this? Yes! Im originally from NorCal but Ive been in Phoenix since 2000. 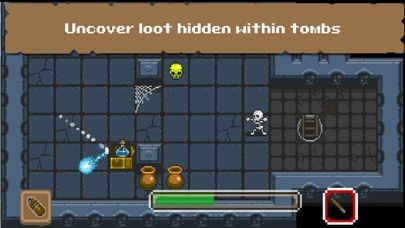 I saw on another thread you had that you were Tucson..
To answer your question, I had to leave and had not gotten that far, but I did have a golden skull. When I came back the game was new again. that is correct. Unfortunately real life gets in the way of gaming.